Imagine this scenario: You'll while away your golden years in excellent health and fair financial shape before dropping dead from a heart attack at 93. You'll never need to spend any money on nurses and long-term care. As far as plans for one's eventual demise go, it's a fairly upbeat one. And more and more baby boomers are realizing that's probably not how it's going to go down for them. They've watched as their parents have outlived their assets, burning through their retirement savings paying for nurses, long-term care, and a host of other medical expenses. And those in the sandwich generation -- with both children to send to college and aging parents to care for -- are often watching their own finances hemorrhage from both sides. On a more positive note, though, it appears that experience is encouraging those boomers to plan for a financially complicated future. And a lot of them are considering long-term care insurance. For current retirees, the numbers reflect an optimistic mindset that's profoundly disconnected from reality. Upwards of 70% of Americans over 65 will need long-term care, but only 5% of them have long-term care insurance. The next wave is recognizing that planning is of the essence, but they're also looking for a method that would allow them to get back the money if they don't use it for long-term care. One solution many boomers are finding is asset-based long-term care coverage, which in a sense allows them to have their cake and eat it too. Before we get into the details about asset-based long-term care policies, let's talk about why you might want one. First, there's no avoiding the fact that long-term care is expensive. Round-the-clock care, with $19-an-hour non-skilled caretakers, plus prescription drugs and other services, can run seniors $6,000 a month. And care is only getting more expensive: The 2007 median annual rate for a private nursing home room was $65,700, a number that rose to $81,030 in 2012, according to Genworth Financial. "Most of America doesn't have, say, $72,000 a year lying around for that purpose," said Jim Sloan, founder of Houston-based wealth management firm Jim Sloan & Associates. The average stay in a nursing home is three years, which could run into the neighborhood of quarter of a million dollars in expenses. The familiar options for dealing with long-term care costs are limited: Medicare, Medicaid, out of pocket, or long-term care insurance. Medicare only covers long-term care costs for 20 days before a co-payment program kicks in, and even that ends after 100 days, making it at best a medium-term solution. Medicaid is restricted to those with limited incomes and resources. Handling the costs on a pay-as-you-go may work for some people, but that money does go -- rapidly. As for traditional long term-care insurance, the high premiums, combined with the fact that it's a gamble -- you never know, you might be among the 30% or so of people who never need long-term care -- lead many to shun it. Given those alternatives, ABLT starts looking like an attractive option. So What is Asset-Based Long-term Care Coverage? 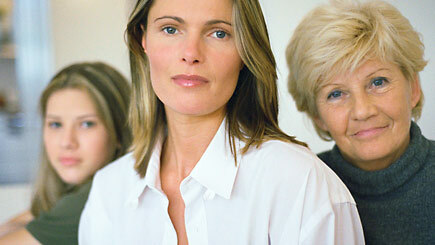 Asset-based long term care coverage, simply speaking, is a life insurance policy with a long-term care rider attached. It's an alternative to traditional long-term care insurance that offers the opportunity to multiply your investment dollars to cover long-term care and other late-in-life medical expenses. These plans, say their proponents, are an effective, secure strategy for planning for medical care down the road, while eliminating the concern of throwing away money on an insurance policy that may go unused. Instead of letting money sit in certificates of deposit or annuities and then using it as a nest egg for long-term care, sandwich generation members might consider an ABLT care policy. For example, says Sloan, a boomer might be holding $50,000 in savings or a CD that he has tagged as long term money. "Consider this instead: Take the $50,000 out of your left pocket and put it in your right pocket, and you've almost quadrupled your long-term coverage," Sloan said. That's because with asset-based long-term care insurance, the $50,000 principal can generate a long-term care insurance policy of $200,000. The principal is always there for you to reclaim. But it can net larger returns if you leave it untouched, generating growth for your old age. In addition, it operates as a life insurance policy, so if a 65-year-old puts in $50,000, it could generate a $90,000 death benefit. These factors ease the common worries of those people afraid they'd be wasting their money on preparing for care they might not use. "People think, 'If we never need the benefits, then we've paid all these years for something we've never use -- we can't afford $300 a month,'" Sloan said. Has Universal Insurance Become the Perfect Stock? Steve Casto, founder and president of Strategic Wealth Solutions, an Omaha, Neb.-based financial firm, touts the values of the asset-based strategy. A typical policy of this type has a death benefit that is double the single premium payment and long-term care coverage that's four times that amount. "It is such an easy thing for most people to do," Casto said. "Also, it is fairly liquid for the amount you put in. You do lose your gains in interest, but if you need it, you can get your money back." "Worst case with this is, if you don't need LTC, the money is paid out to the beneficiary tax-free," Casto said. "Everybody is living longer, and seniors are like, 'What? I can get this coverage and have a money-back guarantee in the future,'" Sloan said. "Because boomers have seen what their parents are going through, it's so easy for them," Sloan said. "You see somebody going through long-term care. Boomers are buying this much more so than seniors." Age-wise, the sweet spot to buy these policies is between 57 and 67, so that you'll have the money available if it needs to be used, Sloan said. Of course, this strategy is not for everybody. If you don't have enough money to cover your daily expenses, putting money away in an insurance policy of this sort is not practical. "The biggest problem I see is that it has to be non-IRA money," Casto said. "So you do have to put money in that you really don't need for your own use [as] future income. The other major drawback is that it has to be a big deposit. Unlike [long term care] where you make premium payments, this is usually a one-time deposit." And some experts view asset-based long term care insurance as the insurance equivalent to dinner theater: It's nice package deal, but it's still something of a compromise, in which the two combined entities -- in this case, life insurance and long-term care insurance -- don't reach their individual ideals. Robert Davis, CEO at RetirementGuardian.com, an educational-based website and broker for people who want to understand and purchase asset-based long-term care insurance, advocates the merits of the product, but admits it has its drawbacks. "It's not a win-win," Davis said. "Like any hybrid, it comes with trade-offs." For example, asset-based long-term care coverage is available with an inflation protection package, but it's expensive. And only traditional long-term care insurance can be used in tandem with state partnerships for long-term care. "If they exhaust their benefit amount, [purchasers of traditional long-term care insurance] would be able to apply for a state Medicaid program and procure an equal amount of assets, because they took a private initiative and the state is rewarding them." But asset-based strategies don't qualify. Still, when all is said and done, if they have money sitting relatively idly in low risk investments, boomers would be wise to consider if an asset-based policy would suit their needs -- and protect them from the troubles that have beset so many members of their parents' generation.